AMHP series filter is connected to the recirculation duct. It cleans the polluted air, which is then delivered to the air conditioner or air furnace inlet. Such a system provides 96-120 exchanges of air per day. installed into the central air conditioner duct. Removal of up to 99.97% of polluting microparticles (up to 0.3 microns). Carbon pre-filter: removes fine lint and foreign smells from the cleaned air. Main filter: removes airborne atmospheric dust, polluting particles, including biological (mites, pollen of flowers and trees, mold spores, fungi). 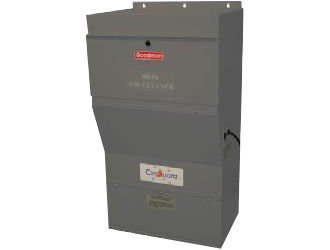 VOC Coal filter: additional removal of odors and gases. Built-in fan: provides 416-952 m3/h airflow .